Thumbnail for HTML5 video is very good as these small video thumbnails provide very user friendly navigations to your site visitors. Here we list some HTML5 video gallery templates that can create html5 video player with thumbnails automatically. All you need to do is, add your video to the video player, choose your favorite HTML video gallery, the video player can convert your movies to HTML 5 formats and wrap them in beautiful video gallery container with thumbnails, title, etc. 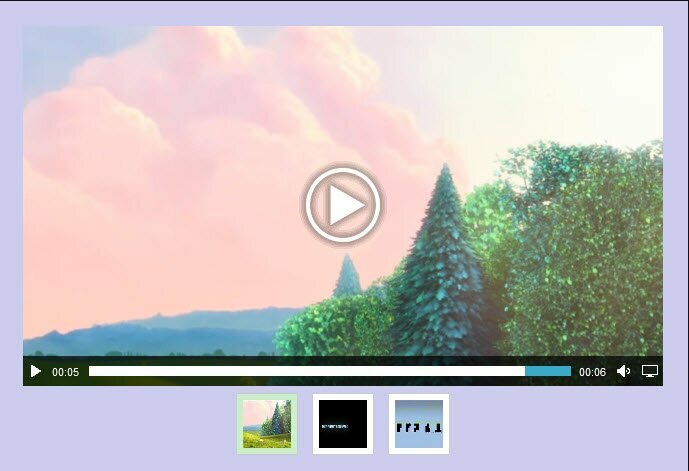 This HTML5 video gallery theme can automatically generate thumbs for your videos and place them on the top of your video player. This HTML5 video gallery theme can automatically generate thumbs for your videos and place them on the bottom of your video player. 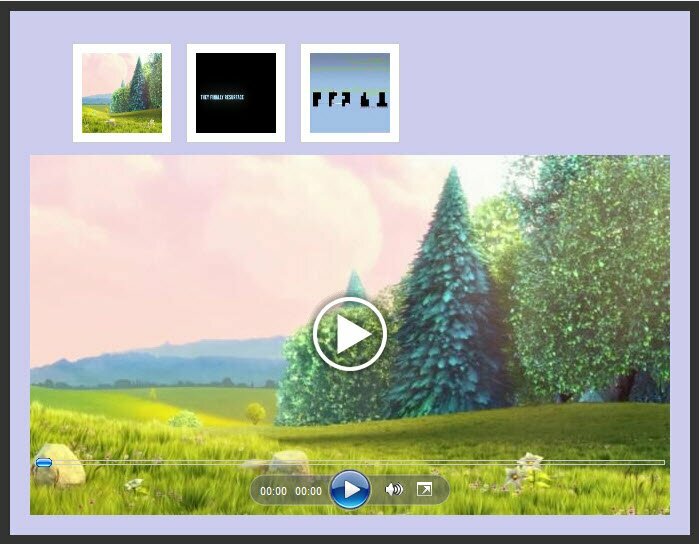 Many of our HTML5 Video Player users have request for such a video template, it lists their video clips with a thumb for each, when the user clicks it the thumbnail will expand to play the video in a larger screen or full screen, the user has the option to click to close the larger video displaying screen and return to the video list with small thumbs. Video Overlay is the HTML5 video thumbnail gallery template you need. If you want to make a website using HTML5 videos but i am having a bit of trouble creating a video thumbnail, the above video templates are your best choices. Download HTML5 Video Player now, to organize your videos into video playlist with video thumbnails to play the videos on computers, mobiles, smart phones, iOS devices, Android devices, etc.